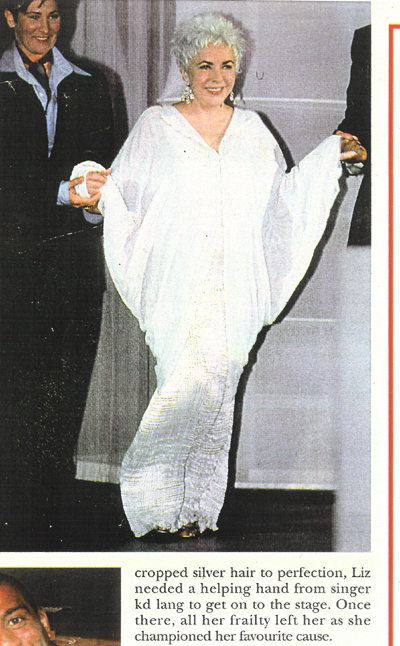 Charles and Patricia Lester have been fortunate enough to dress some extraordinarily talented people and consquently many of them are celebrities in their own right. There are actually too many to include but we have started to publish a few press pictures that we have just to give you a taster. There are many many more but we don’t always get copies of the publications and there have been numerous occasions when we are not even aware that has an outfit of ours. We never pay anyone to wear anything. All the celebrities who have been seen enjoying our clothes have done so through their own choice and have paid us (or the stores) for the privilege. We consider it a great honour to have been selected above any other designer. 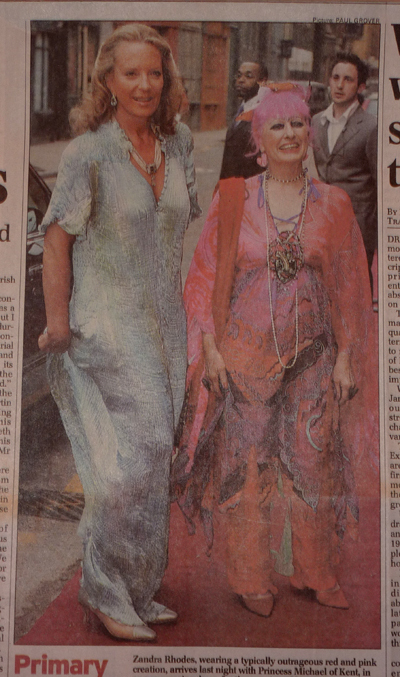 Princess Michael and Zandra Rhodes at the opening of Zandra’s Museum of Fashion in London. Daily Telegraph.